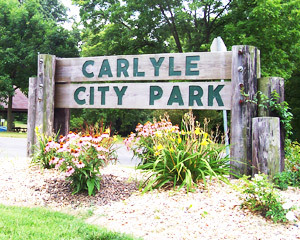 We’d like to introduce the Carlyle Lake Bike Trail, a cooperative effort between the City of Carlyle and the US Army Corps of Engineers at Carlyle Lake! 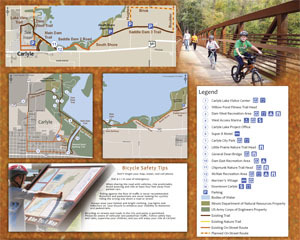 The Trail is comprised of bike trails and routes that connect the City to the southern edge of Carlyle Lake and public lands maintained by the Corps. 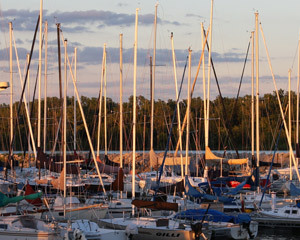 It’s a great way to tour Carlyle AND take in great views of the Lake and adjacent farmland, prairie, and wetlands. 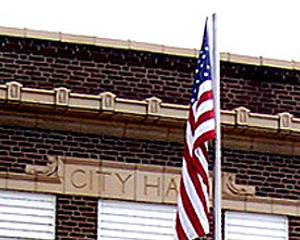 The Trail consists of looped routes within the City that take you through historic neighborhoods, main commercial districts, restaurants, shops. 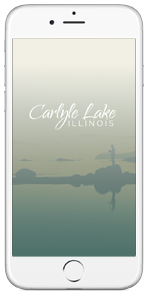 It also consists of an out-and-back ride along the top of the Carlyle Lake Dam and saddle dams maintained by the US Army Corps of Engineers and the Illinois Dept. of Natural Resources. 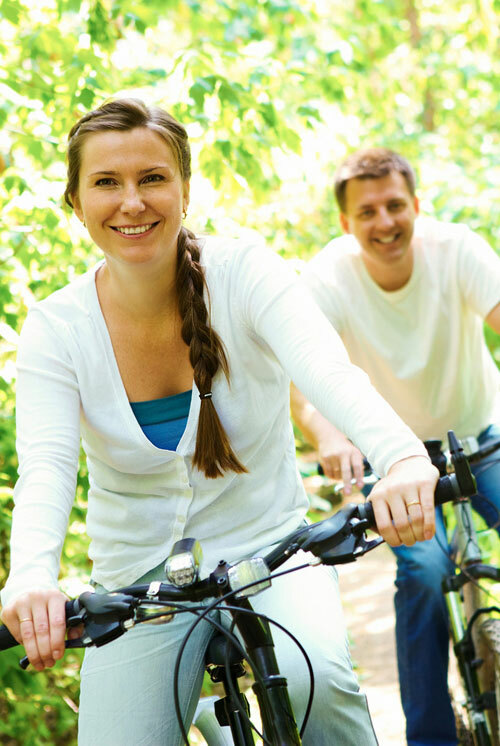 All told, over 20 miles of bike routes and trails are presented. 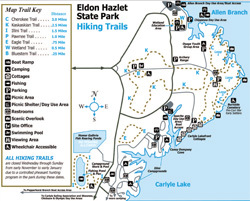 More than 9 miles of trails are available to hikers at Eldon Hazlet. The 3-mile Cherokee Trail has three separate loops that pass through a mature oak-hickory forest over gently rolling terrain, offering great views of the lake. The Pawnee Trail is a 1-mile loop trail running along the highest point on Carlyle Lake. Both the Cherokee and Pawnee trails lead to Burnside Cemetery, a restored cemetery with tombstones dating to the 1830s. The Kaskaskian Trail is a 2 1/2-mile loop trail that begins at the park office and passes by the youth campground, the Pawnee Trail, various day-use areas and the Eagle trail, a 3/4-mile loop near the north end of Illini Campground. A 1/4 -mile accessible interpretive trail is located within the 3-acre prairie restoration directly across from the park office. 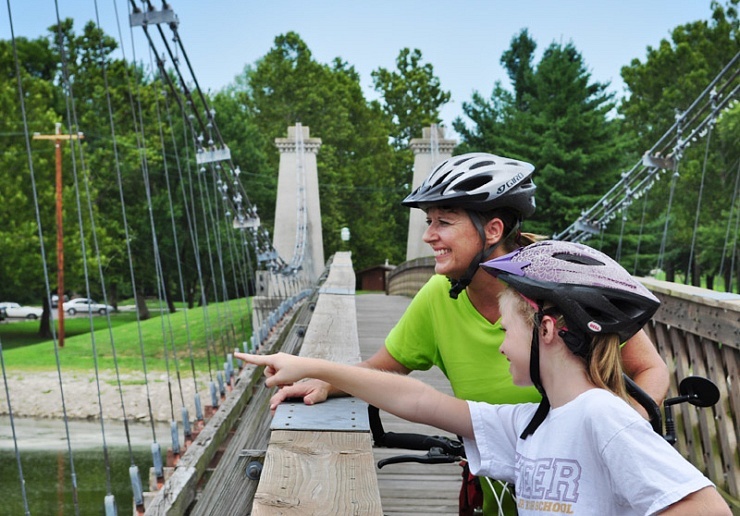 The 1-mile Illini Trail is located across from the Campground Store and loops around the Illini Fishing Pond. All trails are closed Wednesday through Sunday during pheasant season.